This post is dedicated to three of my heroes: Albert Einstein (1879 – 1955), Kurt Gӧdel (1906 – 1978), and George Spencer Brown (1923 – 2016), three geniuses who have made some of the most important contributions to our understanding of the nature of reality in the history of the human race. I was recently asked to write an obituary for one of these great men for the Journal of Scientific Exploration. I was honored and pleased to be able to pay tribute to British polymath, G. Spencer Brown, the author of “Laws of Form”, a work very important to my life’s work and to the mathematical basis of the Triadic Dimensional Vortical Paradigm (TDVP) developed in collaboration with Dr. Vernon M. Neppe, MD, PhD. See a tribute to George Spencer Brown at the end of this post. This post is about proof. The concept of “proof” is often misused in everyday discussions. For example, we hear “Donald Trump’s failure to produce his tax records proves he has something to hide.” Or “Hillary Clinton’s fainting spell proves she is not physically fit to be President of the US.” And “The way the World Trade Center Towers collapsed proves that the government lied about 9-11.” These three statements are theories, more correctly called hypotheses or conjectures, and the word “proves” in each statement should be replaced by the word “suggests”. These hypotheses may or may not prove to be true. A Proof is an indisputable chain of logic that connects evidence for a specific hypothesis with a specific unavoidable conclusion. Consider the infinite series of whole numbers: 1, 2, 3, 4, 5, etc. If I add 1+2+3, I get 6; if I add 2+3+4, I get 9; and if I add 3+4+5, I get 12. Noticing that these three sums are all divisible by 3, I might jump to the conclusion that the addition of any three consecutive numbers will always produce a number that is divisible by 3. But I have not proved this hypothesis for all sums of three consecutive numbers. The three sums I’ve done only suggest my hypothesis, they do not prove it. I can continue to add sequences of larger and larger numbers: 4+5+6=15; 5+6+7=18; etc. But I still do not have proof, only a stronger hypothesis. Someone may suggest that it might only work for single digit numbers. So to test this conjecture, I might try 10+11+12 and get 33, obviously a number divisible by 3. So far so good, but I still don’t have proof that all such additions produce multiples of 3. In fact, I could continue until I filled pages with examples, or use a computer to check millions of sums of three consecutive numbers, and I still would not have a proof. My hypothesis is still just a hypothesis. It seems likely that it is true, but trial and error demonstrations constitute a feasibility argument, not proof. Let n = any whole number. Then n+1 is the next number and n+2 is the number after that. Then, n+(n+1)+(n+2) represents the sum of three consecutive numbers. This representation can be simplified mathematically, as follows: n+(n+1)+(n+2)=n+n+1+n+2=3n+3=3(n+1), obviously divisible by 3 regardless of the whole number value of n.
The sum of three consecutive numbers is always divisible by 3. By using this precise definition, we can avoid confusing feasibility arguments, however convincing they may be, with actual proof. Recently, a colleague referred to TDVP as a theory. Dr. Neppe corrected him, saying: “TDVP is not a theory.” A theory is a hypothesis, but once it is proved, it is no longer just a theory. TDVP has been proved with empirical data and mathematical logic. The colleague’s use of the word theory, however, may not have been incorrect from his point of view, if he had not read or understood the proofs demonstrating the validity of TDVP. He can also be forgiven for alluding to TDVP as a theory because misuse of the word theory is very common, even among scientists who should know better. 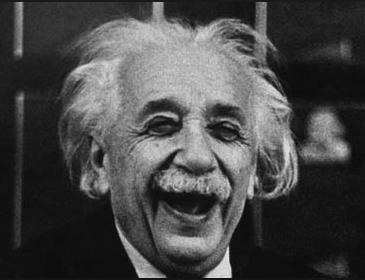 The theory of relativity, for example, is not a theory. Relativity was a theory when Albert Einstein published the special theory of relativity in 1905, even though the mathematics strongly suggested it was correct, and it was still a just a theory when he published the general theory of relativity in 1915. But it actually is no longer a theory because it has been proved meticulously, many times over, many different ways. The validity of relativity as a law of nature has been confirmed many, many times by careful calculations of relativistic effects using the equations of special and general relativity, with results falling within the margin of measurement error. And the more precise the observations and measurements become as technology is improved, the more accurately the calculated results correspond with observation. Time dilation and length contraction for objects moving with very high velocities relative to the observer have also been measured and found to validate Einstein’s equations. Calculations using the equations of general and special relativity have matched real-world experimental data every time, proving that relativity is no longer just a theory. It is a law of nature representing a major paradigm shift. I recognize that there are intelligent people out there who still think Einstein was wrong. But I’ve found that those people usually don’t grasp the significance of the fact that the measurement of the speed of light is the same for all observers, regardless of relative motion. Because of this, they perceive paradoxes within applications of the ‘theory’, like the “clock paradox” or the “twin paradox”. They just can’t shake the illusion, born of the limitations of our physical senses, that space and time are universally present real reference frames unrelated to concentrations of mass and energy and relative motion. The many demonstrations of the validity of relativity prove that Einstein was right. In a relativistic space-time reality of four or more dimensions, 3-D perceptual paradoxes like the clock and twin paradoxes are resolved. Similarly, quantum physics has also amassed a great number demonstrations of validity, of proof of counter-intuitive phenomena like non-locality, quantum entanglement. The details of quantum phenomena in a reality with more than 3 dimensions are “hidden” from our direct observation by the limitations of our physical senses and the extremely small size of quanta relative to the level of resolution provided by our sense organs and the technological extensions of them. As the details of reality not available for direct observation are filled in as the result of increasing refinement of application of the principles of relativity and quantum mechanics, indications of deeper reality are revealed. Increasingly, we have seen indications of the involvement of consciousness, hints of the need for a new paradigm that puts consciousness into the equations. That is what TDVP has done. We now have almost as many demonstrations proving the validity of TDVP as relativity or quantum mechanics. These proofs include explaining the spin number of fermions, why quarks combine in threes, the Cabibbo angle, the stability of life-supporting elements, and the existence and probable nature of dark matter and dark energy, just to name a few. TDVP started out, about 7 or 8 years ago as the combination of ideas developed independently by Close and Neppe, in Transcendental Physics and Vortical Pluralism, respectively. The ideas came together in a nine-dimensional model of reality that included space, time and consciousness. Applying the calculus of distinctions, an expanded version of G. Spencer Brown’s calculus of indications to particle physics data, the model began to yield explanations of phenomena like those listed above that were not explained by the current scientific paradigm. The calculus of distinctions was first introduced and applied to cosmological problems in my book “Infinite Continuity” published in 1990. In my next book, “Transcendental Physics” first published in 1997, the calculus of distinctions was applied to the conscious process of observation, predicting the existence of consciousness as a non-quantum receptor. Refinement and expansion of the calculus of distinctions and application to the nine-dimensional spin model in collaboration with Dr. Vernon Neppe since 2008, has resulted in the discovery of a third form of reality, that we call gimmel, which is necessary for the existence of the universe as we know it. With the discovery of the existence of gimmel, the link between the physical universe and consciousness, we are developing new concepts and explaining more real phenomena on an almost daily basis, and providing proof that TDVP is the long-awaited and much-needed shift from the current materialistic metaphysical based science to a comprehensive consciousness-based scientific paradigm, at last uniting the intellectual and spiritual search for the truth. G. Spencer Brown was a creative mathematical logician extraordinaire, one of a handful of twentieth-century polymaths who saw the need to integrate spatial and numerical mathematics into a system of reasoning that is logically prior to conventional mathematics, symbolic logic and mathematical science. While I never had the privilege of meeting him in person, I became aware of his work in 1984 when I purchased a copy of his exceptionally well-written book, Laws of Form. This book is one of my most prized possessions. I re-read it from time to time, and gain new insights every time. Similar to many brilliant thinkers who forge ahead of their time in history, he was misunderstood and misinterpreted by some who, although competent in their individual fields of specialization, failed to see the larger picture he was able to perceive. In my opinion he deserves a place of high honor in the Meta-Mathematics Hall of Fame, if there were such an institution, for revealing the connection of ‘imaginary’ numbers (an unfortunate misnomer) with symbolic logic and geometrical representation. G. Spencer Brown was born in Lincolnshire England. He studied medicine and passed the First M.B. at London Hospital Medical College, at the age of seventeen in 1940; but, after serving in the Royal Navy from 1943 until 1947, he struck out in a different academic direction at Trinity College, Cambridge, earning Honors in Philosophy (1950) and Psychology (1951). From 1952 to 1958, he taught philosophy at Christ Church, Oxford and earned M.A. degrees in 1954 from both Oxford and Cambridge. His doctorate thesis “Probability and Scientific Inference” was published in 1957. During the 1960s, he studied under the Scottish psychiatrist R. D. Laing. He also did post-graduate work with Bertrand Russel and Ludwig Wittgenstein, and upon recommendation by Bertrand Russell, he became a lecturer in formal mathematics at the University of London. From 1969 onward, he was affiliated with the Department of Pure Mathematics and Mathematical Statistics at the University of Cambridge. In the 1970s and 1980s, he was a visiting professor at the University of Western Australia, and at Stanford University and the University of Maryland in the United States. In addition to his academic pursuits, he played chess, held two world records as a glider pilot, and was a sports correspondent to the Daily Express. He has also wrote novels and poems under the pen name James Keys. George Spencer-Brown died in Wiltshire, England on August 25, 2016 at the age of 93. I personally owe G. Spencer Brown a deep debt of gratitude, because without some of the calculus of indications theorems and innovative applications to logic published in his ground-breaking book, Laws of Form, my life’s work, documented in my books and other writings, especially Infinite Continuity and Transcendental Physics, and in Reality Begins with Consciousness, and a number of articles, papers and books written in collaboration with Dr. Vernon Neppe, would have been much more difficult, if not impossible. I believe this understanding should serve him well in any universe in which he now might find himself! And, once again to reiterate - When it comes down to it, Ed, who really has to prove or disprove anything to others. In a cosmicated sense, it's what we believe in ourselves that really matters to the Ultimate Force, our Higher Self, which cannot be fooled - We're all our own judge, jury and hopefully not our own executioners! Amun! May the UF be with you! you start with talking about proofs and theories in mathematics, in physics it is different and you deviate from mainstream thoughts about such methods; anyway your 'proof' for Tdvp in terms of physics is ludicrous; it is not even hypothetical; it's just nonsense. And you should know it. As philosophical enterprise trying to combine science and spirituality you might be on the right track but if you continue to use pseudo physics like your 9D spin model you do harm to yourself; as for you gimmel, it's just a correlation, interesting but doesn't 'prove' anything; and certainly has nothing to do with either dark matter nor (probably dark energy); anyway certainly not with dark matter. You don't seem to know what dark matter is, as measured in experiments.